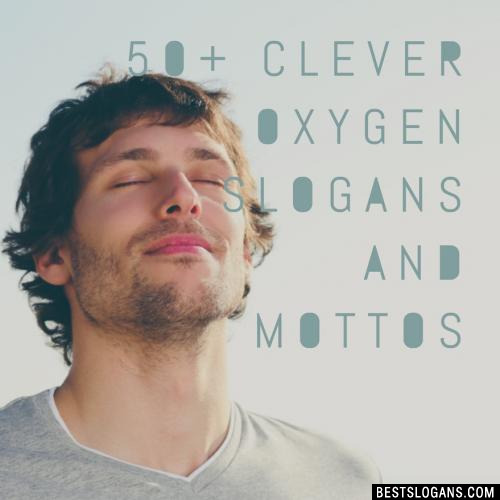 50 new entries added to oxygen slogans, that include pictures. 1. 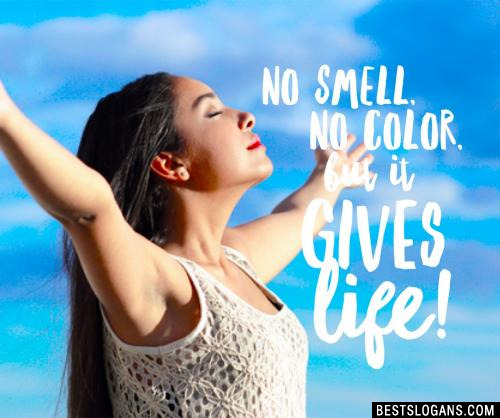 No smell, no color, but it gives life! Almost two-thirds of the weight of living things comes from oxygen, mainly because living things contain a lot of water and 88.9 percent of waters weight comes from oxygen. Oxygen (O2) is unstable in our planets atmosphere and must be constantly replenished by photosynthesis in green plants. Without life, our atmosphere would contain almost no O2. The Northern (and Southern) Lights: The green and dark-red colors in the aurora borealis (and australis) are caused by oxygen atoms. 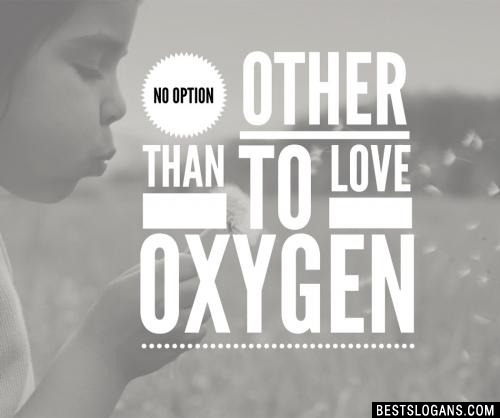 Oxygen (O2) is one of the most important elements required to sustain life. Without it, our health begins to suffer and/or we die. Unhealthy or weak cells due to improper metabolism lose their natural immunity and are thus susceptible to viruses and lead the way to all kinds of serious health problems. O2 not only gives us life but destroys also the harmful bacteria in our bodies without affecting the beneficial bacteria that we need. No antibiotic or drug can make that claim. No smell, no color, but it gives life! 10 Without oxygen you would be breathless! 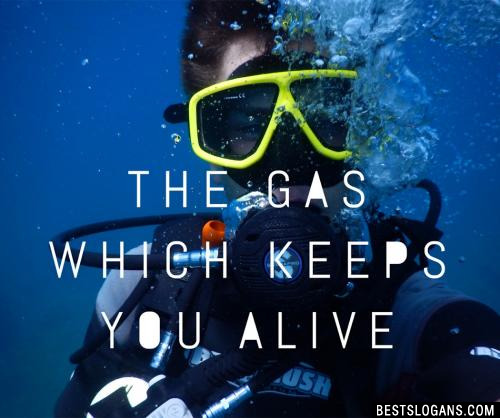 14 Oxygen: It's a gas! 16 So good you'll be hooked for life. 19 OXYGEN in! CARBON DIOXIDE out! 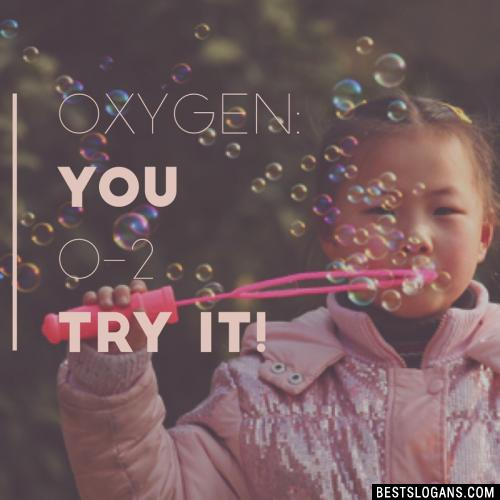 Oxygen: you O-2 try it. 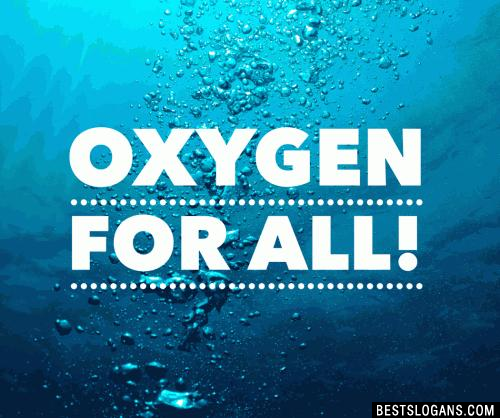 Can you think of a good Oxygen Slogans we're missing? Or come up with a clever one of your own. Please share below.